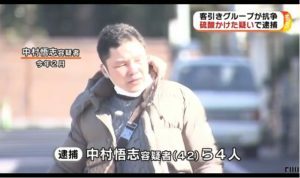 TOKYO (TR) – In looking back 10 years, Fuji News Network recalls the apprehension of male truck driver who admitted to carrying out about 100 sexual assault incidents. However, the network fails to mention that the perpetrator ran afoul of the law shortly after his release from prison. 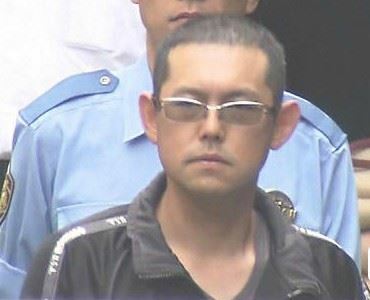 On September 26, 2008, police announced the arrest of Hiroki Oguro, then 32, for committing acts deemed obscene with an 8-year-old girl at a residence in Hachioji City in 2006. 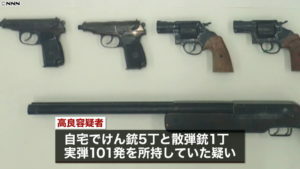 During questioning, Oguro admitted to committing about 100 similar crimes in the capital and Kanagawa Prefecture since 2003 in which the female victims were aged between 10 and their 40s, the Hachioji Police Station said. In August, 2014, police again arrested Oguro in a similar case. 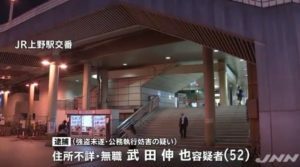 That May, he forcibly kissed a woman, aged in her 20s, at a residence in Tama City, Tokyo as she returned home from work. According to police, Oguro called out to the woman prior to the incident, asking if she had a tissue. He then pushed her up against a wall in committing the crime, which also included him fondling her chest and lower body. During questioning, Oguro denied the allegations. “I do not recall [the matter],” police quoted the suspect, who was released from prison in 2013. 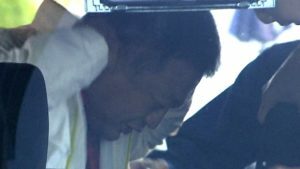 Oguro surfaced as a person of interest after a DNA analysis was conducted on evidence left behind at the crime scene, police said at the time. Police received reports about 10 similar incidents in the area that took place that same year.